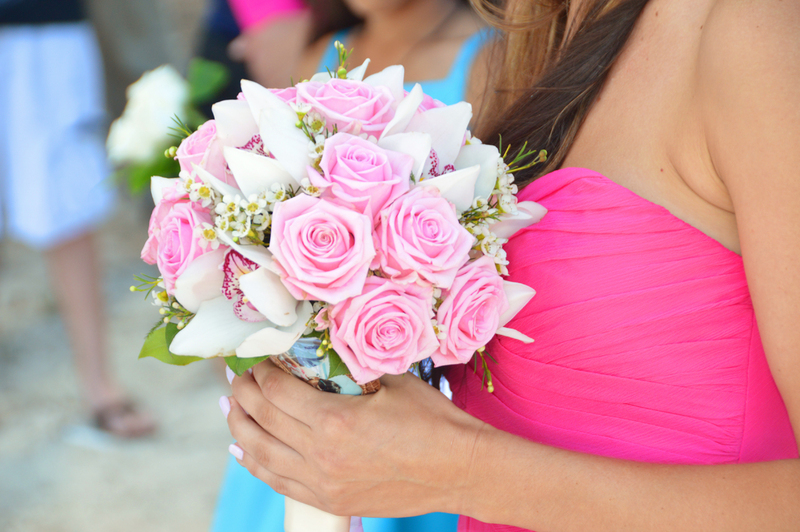 Awesome pink & white flower bouquet at Ellie & Nolan's wedding at Waimanalo Bay. Gathering of wedding vendors in Honolulu Hawaii. 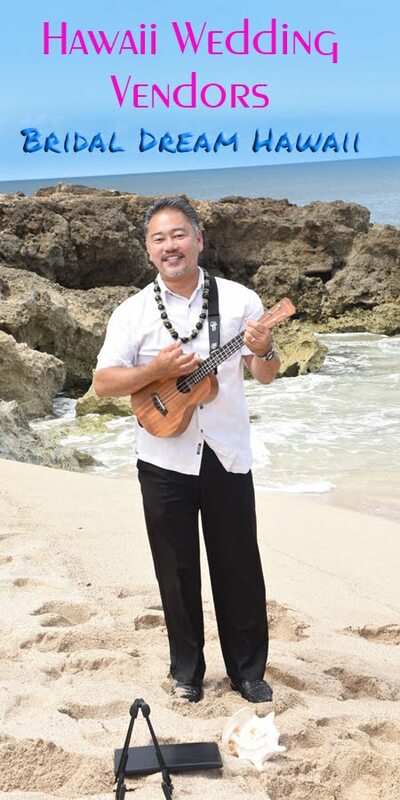 Wedding Ministers, Photographers, Wedding Video, Musicians, Hair Styling and Makeup, Cakes, and Limousine Service on the Island of Oahu. Contact us anytime to discuss your wedding needs.